The party’s over for my fine feathered friends. I didn’t expect news like this in our new habitat. I’m not taking any chances. Sorry fellas…. Mother Nature has not fooled the bears either, and they are ready to emerge from dens in search of spring foods.This knowledge should be a call to action for homeowners, who need to be proactive and take action now to reduce the chance of attracting a bear to their home. We generally use April 1 as the recommended time when bird feeders should be removed, says New Hampshire Fish and Game Bear Project Leader Andrew Timmins, however, this year we are suggesting that feeders be pulled by March 15. Homeowners should take action to reduce the chances of a bear visiting their home. * Because of the mild winter, stop all bird feeding by March 15 or put away feeders as soon as you can. * Clean up any spilled birdseed and dispose of it in the trash. * Secure all garbage in airtight containers inside a garage or adequate storage area, and put garbage out on the morning of pickup, not the night before. * Avoid putting meat or other food scraps in your compost pile. * Don’t leave pet food dishes outside overnight. * Clean and store outdoor grills after each use. * Finally, never intentionally feed bears!need to be proactive and take action now to reduce the chance of attracting a bear to their home. 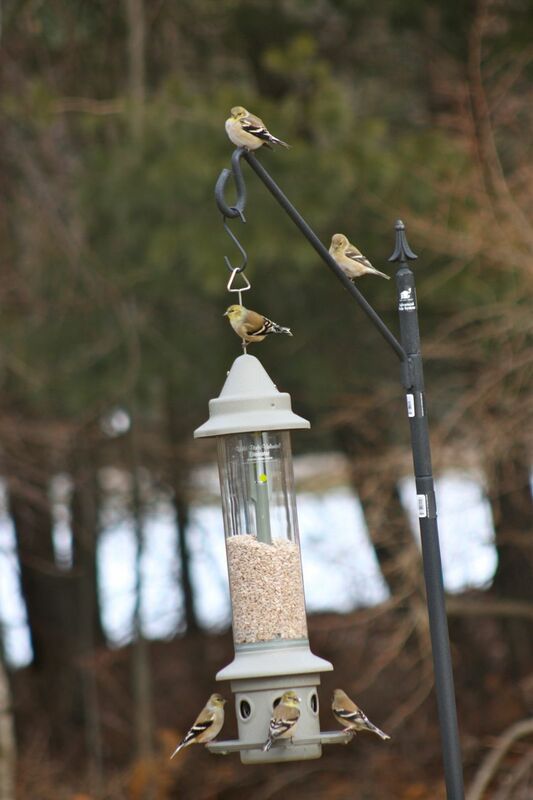 We generally use April 1 as the recommended time when bird feeders should be removed, says New Hampshire Fish and Game Bear Project Leader Andrew Timmins, however, this year we are suggesting that feeders be pulled by March 15. This entry was posted in New Hampshire and tagged Bear, Bird feeding, Mother Nature, New Hampshire by Annie. Bookmark the permalink. Oh my gosh, I was wondering if you had bears there. I worried about you walking and exploring the woods by yourself. I’d be packing my bags.